The International Baccalaureate® (IB) Diploma Programme (DP) is for students aged 16-19. Find out more about the Diploma Programme (DP), including information on pathways to university and employment and on who can offer the programme. Research suggests that there are many benefits to choosing the Diploma Programme (DP). The programme aims to develop students who have excellent breadth and depth of knowledge – students who flourish physically, intellectually, emotionally and ethically. Find out more about the DP. The Diploma Programme (DP) curriculum is made up of six subject groups and the DP core, comprising theory of knowledge (TOK), creativity, activity, service (CAS) and the extended essay. Through the Diploma Programme (DP) core, students reflect on the nature of knowledge, complete independent research and undertake a project that often involves community service. Read about the DP curriculum. The International Baccalaureate® (IB) assesses student work as direct evidence of achievement against the stated goals of the Diploma Programme (DP) courses. Read about assessment and exams. There is information on getting results, including information on how to request that an exam is remarked. Who is the DP for? The Diploma Programme (DP) is open to any student aged 16 to 19, at schools that have been authorized to implement the programme. 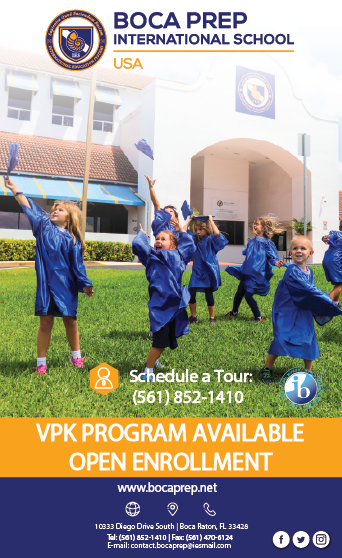 Learn more about students in the DP. Group 1 Language A1 The International Baccalaureate Organization has a policy of encouraging students to maintain links with their own cultures and provides opportunities for students to study their mother tongue language, even when that language is not offered by the school. English A1 HL and SL and Spanish A1 SL. Group 2 Second Language Language B All DP students must take a second language. Spanish B or Ab initio or French B or Ab initio. Group 3 Individuals and Societies All DP students are required to complete a Humanities course. 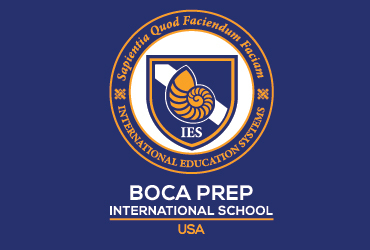 History HL and SL and Psychology HL and SL are offered by Boca Prep. Group 4 Experimental Sciences All DP students are required to complete a Science course. Chemister HL and SL, as well as Biology HL and SL are offered. Group 5 Mathematics All DP students are required to complete a mathematics course. Mathematics SL and Maths Studies SL are offered. Group 6 The Arts This group includes the Visual Arts, with an emphasis on practical production by the students. Alternative options may be discussed with the DP coordinator. Theory of Knowledge, is a critical thinking course study which trains students to think about knowledge at the deepest of levels. TOK is an interdisciplinary requirement intended to stimulate critical reflection on the knowledge and experiences gained both inside and outside of the classroom. TOK is considered a key element in encouraging students to appreciate other cultural perspectives. This course is unique to the DP and lasts for about 100 hours over the two years of the programme. The Extended Essay engages students in independent research on a topic of their choosing, providing them with the opportunity to explore and investigate a topic of special interest. It is this requirement of the programme that provides DP students with the early experiences needed for the kind of independent research and writing skills required by universities. The essay is an extended assignment started in Year 1 and completed in Year 2. Students should spend about 40 hours completing this aspect of the rogramme. Creativity, Action, Service known by its acronym CAS, Creativity, Action, Service (CAS) balances academics with hands-on learning outside of class .One of the goals of the DP is to educate the whole person and to foster responsible, compassionate citizens. The CAS component encourages students to share their energy and talents with others. Students are expected to put at least 150 hours into their CAS component over the two years of the programme.